So you want to start trading options? Not easy right ? Or maybe you’re already into options but you want to take your trading to another level. Sure, some traders are making crazy amounts of money, but options is a high risk game if you don’t know what you’re doing. So start by educating yourself, and learn from the best. Here is a selection of options trading books that have repeatedly been earning praise in the markets and among options traders. The definitive options trading strategy for risk-averse investors seeking substantial monthly income. This is one of the very best options trading books you could buy. Lee Finberg covers two basic strategies that can help you earn a steady income. First, Credit spreads: a strategy that involves a purchase of one option and a sale of another in the same category and expiration but different strike prices. It will get into profit when the spreads between the two options narrows down. Then, Iron condors: a strategy that involves four different contracts. Basically, you sell one call spread and one put spread with the same expiry day and on the same underlying support. And the interesting thing is that both of these strategies are for the risk averse investors. Lee Finberg sets a target of achieving a 4-8% ROI on a monthly basis which is arguably quite a massive performance. So the strategies he teaches can be very profitable on a regular basis, and there are many examples of readers testifying to that when you read the comments to his book. 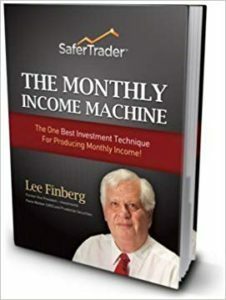 Lee Finberg gives precise sets of rules along with very specific frameworks, making his strategies very safe ways to create a monthly income machine for all traders. It is definitely a must-read, under 100 pages, giving you only the essentials without pages and pages of unnecessary theory on options. There’s a newly expanded 4th edition published in 2018. 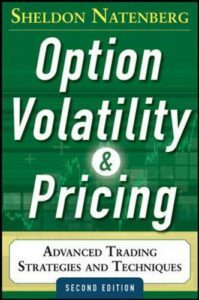 If you don’t know much about options this book is a good starting place. 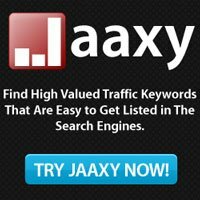 The QuickStart guides have built a reputation for providing straightforward, easy to read introductory books to many trading techniques. This one will teach you the basics of call and put options, along with explanations on leverage and intrinsic value. You will also learn a simple options strategy for a beginner, as well as what is called “The Greeks”. The Guide then goes on to teach you some popular Options strategies. The book is 100 pages, it can be read in less than 2 hours. 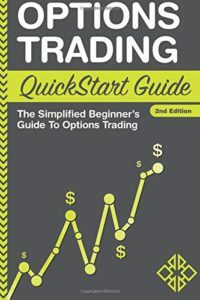 So if you’re looking to make money with options using some simple strategies that have proved continuously successful, give this book a try. In a lot of the world’s trading rooms, Option volatility & Pricing is THE book handed to new aspiring traders. This bestseller is an absolute reference in the trading world, it is the one book every trader should own and my personal number 1 choice. Sheldon Natenberg is widely considered as an authority in the option trading world, with more than 30 years trading as a professional. The book is very complete, 25 chapters, 560 pages, covering absolutely all aspects of options trading. You will get to learn strategies used by professional options traders to approach the market, along with the risk management techniques they employ. This book is a must have in any serious option trader’s library, some call it the Option Trading Bible. You might also be interested in our shortlist of the Best Day Trading Books. And if you’ve read an interesting book on Options Trading, just drop us a comment below we’ll be happy to take a look at it.